Delhi, Agra and Rajasthan are probably the most visited places in India by foreign tourists. The golden triangle of Delhi, Agra and Jaipur being the most popular of those. But Rajasthan as a state is quite varied and diverse, it is not all about Forts and palaces. You have a tiger safari in Ranthambore, the desert in Bikaner and Jaisalmer, small rural villages, and the spiritual town of Pushkar. Combine this with great food and some lovely charming boutique hotels and homestays and you can easily spend 2 weeks in this region. 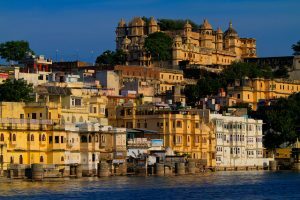 With this blog we have given a few options of different travel routes to Rajasthan you may take depending on your interests and number of days you have to travel. If you do need help in planning your time through Rajasthan and other regions, we can help you customize your trip to India. We believe the golden triangle i.e. Delhi – Agra – Jaipur, by itself is slightly overrated and touristy as a travel route. Delhi and Jaipur are bustling cities that offer a combination of monuments, markets and diverse places to eat. However, they do not offer much time for relaxation. Agra, solely in terms of a city, is fairly disappointing. However, the Taj Mahal, the Agra Fort and other monuments are breathtaking and make a trip to Agra worthwhile. But whilst saying this, combine these cities with offbeat homestays, interesting activities and you can have a completely different experience. So if you do only have 5- 6 days in India, we could still help you plan it differently. If you have a little more than a week to spare for your holiday, you can easily add one more city apart from Delhi, Agra and Jaipur. One of the following options is possible to include in a weeklong Golden Triangle trip to India. Recommended mode of travel: Private car with driver. It can also be done using a combination of train rides and a car. Looking for something rural and less touristy with interesting architecture and fresco paintings; include a stop at Mandawa in the Shekawati Region. Recommended mode of travel: Private car with driver. Include Udaipur for a romantic end to your trip. Although Udaipur is a little touristy it is an absolutely charming city. Stay in a haveli hotel in a room with the view of the lake or in one of the luxurious resorts on the outskirts of the city. Recommended mode of travel: Private car with driver + train ride + flight. A more complete Rajasthan experience should include a couple of stops in southern Rajasthan. The towns in southern Rajasthan are more relaxed, offer a combination of stunning architecture and landscape. Start with the hustle and bustle of Delhi – Agra – Jaipur and end your trip with stops in Jodhpur and Udaipur. Recommended mode of transport: Private car with driver between Delhi, Agra and Jaipur, a train from Jaipur to Jodhpur, then another car from Jodhpur to Udaipur and a flight back to Delhi. Enroute to Udaipur from Jodhpur, you can also visit the splendid Jain temples of Ranakpur. This trip can be done the other way round too i.e. 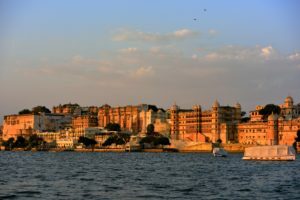 fly Delhi to Udaipur and then trace your way back to Delhi. If you do not like to compromise on your comfort you can exclude the train journey and look at a rented car all through. 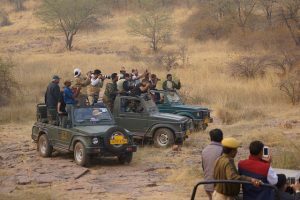 Or you could also add a tiger safari in Ranthambore, stay in Pushkar the hippie and spiritual city, or even visit Jawai and catch some leopards in action. 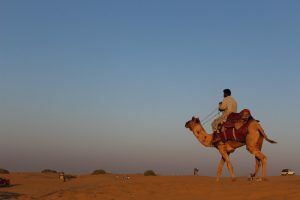 Jaisalmer is a magical desert city by the edge of the Thar Desert. Getting to Jaisalmer takes a little effort, but it is worth the travel. Try and stay within the fort walls that offer gorgeous views of the city. Take a camel ride in the dunes around sunset or even better spend a night in the desert. It is a magical experience to be surrounded by sand dunes under the starry night sky. There are a few points one should bear in mind when including Jaisalmer; It can get notoriously hot and should be avoided April onwards. Jaisalmer is best accessible from Delhi, Jaipur and Jodhpur by overnight trains. These trains need to be booked well in advance, ideally two months in advance. Recommended mode of travel: Private car with a driver between Delhi, Agra and Jaipur, followed by an overnight train and then another car from Jaisalmer to Jodhpur to Udaipur. Train options are possible between Jaisalmer and Jodhpur too. This trip can be done the other way around i.e. starting with Udaipur. 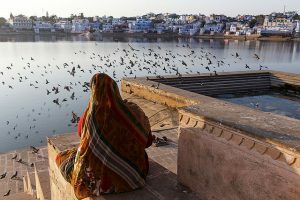 If you have more time you can include a stop at Ranthambore National Park or the hippie-spiritual town of Pushkar. This trip is best enjoyed in a comfortable car with a driver that is with you all through your trip. Try spending more time in Jaisalmer as it is usually the halfway point of your trip and you would be driving a lot. Remember Rajasthan is dotted with wonderful heritage hotels; old Havelis (Villas) and Palaces and many of them are very affordable. Ensure you pick your accommodation wisely. Stay in a healthy mix of hotels, some in the heart of the old city and then at times perched by the edge of the city. Diwali is celebrated sometime between end October and end November. The exact dates change from year to year. Diwali is celebrated across most of India, especially with much more gusto in North India and Rajasthan. No matter where you are in Rajasthan during Diwali you will see the festivities all around. The general mode is festive. Note – Noise and air pollution is elated during Diwali and it is a busy time for Indians to travel, so book in advance. Holi (the festival of colours) – If you are willing to brave the onslaught of colors and a street party, plan a trip in March to coincide with the festival of Holi. Pushkar is the best town to celebrate Holi. Note – the colours can be toxic and people are inebriated on the streets so one should be careful while traveling. However, if you are at a hotel with many tourists that organize a holi party you would get to participate in the festivities and still be safe. The camel and cattle fair of Pushkar is another interesting festival one can include during their trip to Rajasthan. The celebrations are spread across a week. The first five days are most active and interesting. The celebrations are restricted to only Pushkar and it is advisable to book well in advance. Jodhpur and Jaisalmer have music festivals each year. The exact dates change each year. The Rajasthan International Folk Festival in Jodhpur, takes place in the month of October. Ragasthan takes place in Jaisalmer in the month of February each year. If you can plan in advance as there’s nothing like planning your Rajasthan trip around a festival. In Conclusion, Rajasthan is a great state to visit as a first trip to India. If you are looking at other options to travel to India you can also see two week travel routes for North India. And if you would like to personalise your trip to India do just fill out this short form and we will get back to you with an indicative travel plan. Thanks for your comment. Plan your trip and we figure something out for you.